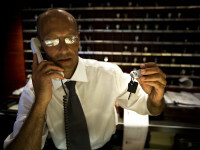 Hoteliers work vigorously to find ways to increase bookings. In today’s highly digital era, the online website is a hotelier’s strongest tool to attract more guests to the property. Over the past few years, the number of online bookings, especially from phones and tablets, have increased at enormous rates. Unfortunately, there are still many hotels who negatively affect their booking frequency; and they don’t even know it. If you’re doing everything right when it comes to marketing your hotel, but you’re still not seeing an increase in your bookings, then you are most likely making one of these common hotel website mistakes. According to research by the Pew Research Center, as of 2014, about 90% of U.S. adults own a smartphone. By 2018, about 49.4 million people will be booking hotel stays from their phones. If this is the case then why are, less than half of hotels optimized for mobile phones? Less people are booking from desktop computers due to the convenience of a smartphone. If your hotel does not have a mobile-friendly site, then you are missing out on a large portion of the market. There are approximately 5.4 billion accounts on the top 6 social media sites (Facebook, Twitter, Google+, Instagram, Pinterest, and LinkedIn). With so many people on these sites, hoteliers have a valuable platform available to directly reach the consumer. The saying is, “If you’re not on a social network, you don’t exist.” A social media page acts as a gateway to your website. By having a social media presence, you can post photos and videos of your hotel, give promotional updates, and make important announcements that will be seen by billions of people. Consumers can also directly contact you on your social media page. If guests cannot easily navigate your site they will become frustrated and search for rooms elsewhere. Hotels that use a splash page as a home page may instantly turn travelers away. A splash page is the opening page that promotes the hotel, usually with an auto-playing movie or music. This splash page can serve as a disruption if someone is listening to music or browsing in a quiet place. Plus, it’s an extra page that slows down the process of your guests getting the information they need. Another issue that may turn guests off is a slow loading page. If you have too much content on your page or large photos, it may take a little longer to load which can be frustrating in the “I want it now” generation. Most importantly, it should be easy for guests to book a room on your site. If you make your booking process complicated and drawn out, guests will leave your site before they choose a room. The copy on your website may make or break you when it comes to how potential guests view your hotel. Copy with a lot of typos will definitely make your hotel come off as unprofessional and uneducated. Copy filled with cliches will also turn a guest away. Using too many descriptive words and fluff to describe your hotel may come off as deceitful and exaggerated. Using too many big words in your copy will make your hotel managment come off as pretentious so keep your copy conversational. Copy that seems natural will resonate more with your target consumer. Using keywords is also important to have in your copy, but beware of overuse. If you’re copy is filled with keywords and phrases it may not read naturally and may come off like a sales pitch. You can tell travelers how great you are as much as you want, but your claims will not be credible in the eyes of the consumer without evidence. This evidence comes in the form of reviews on sites like Yelp! and TripAdvisor. In a social media generation, word of mouth is one of the most powerful forms of marketing. Reviews should be easy for potential guests to see when browsing your web pages. Reviews are also a good way to display your hotel’s customer service culture. By creating personalized responses to both negative and positive reviews, travelers can see that you actually care about your guests’ experience. If you are not seeing an increase in your bookings, take a look at your website and see if you are making any of these mistakes. When booking rooms, guests want the operation to move quickly and run smoothly while receiving all of the information they need about your hotel. Don’t overdo it and remain honest when describing your hotel in the copy. Show potential guests what others love about your hotel and be sure to connect with the consumer on social networks. Hoteliers must do whatever it takes to get their booking numbers up.